A transparent and welcoming working environment with full-height glazing and feature steel columns. Brief was to create a space 'modern in design, frugal in operation and evangelical in purpose'. The Salvation Army had occupied the 99/101 Queen Victoria Street continuously since 1881, their building being completed in 1963 following the destruction of their previous building in 1941. 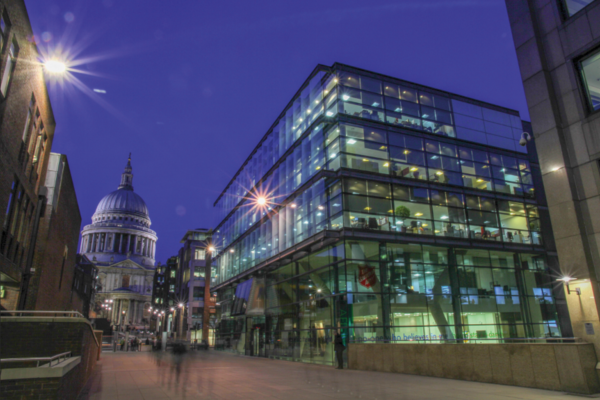 In 1999 the UK headquarters moved out to its own building, leaving a property that was far too big for the international headquarters. The redevelopment released over 8,000m? 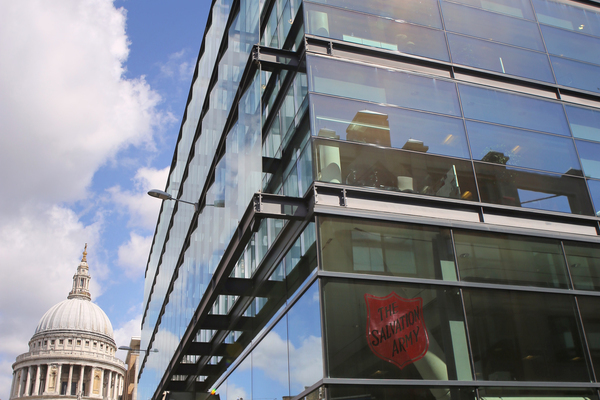 of lettable office space, effectively providing a new building at no cost to The Salvation Army. The new development was designed as two independent buildings - one the Salvation Army headquarters, the other speculative offices; two separate parts with a consistent elevational treatment of the larger whole. 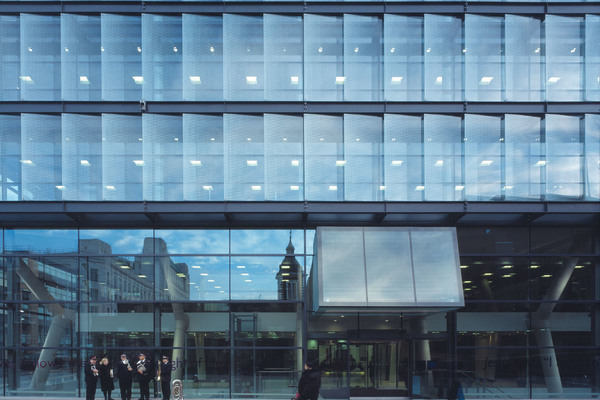 Full-height glazing provides views in and out, creating a working environment which is open, welcoming and transparent. Imagery and signage on the glass link the religious with the secular, expressing the ethos of the Army and welcoming its visitors. 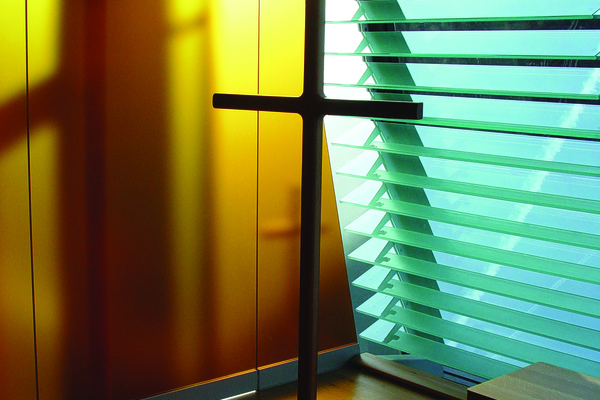 The chapel, on the first floor, hangs over the entrance into the external public space, radiating a golden light at night. 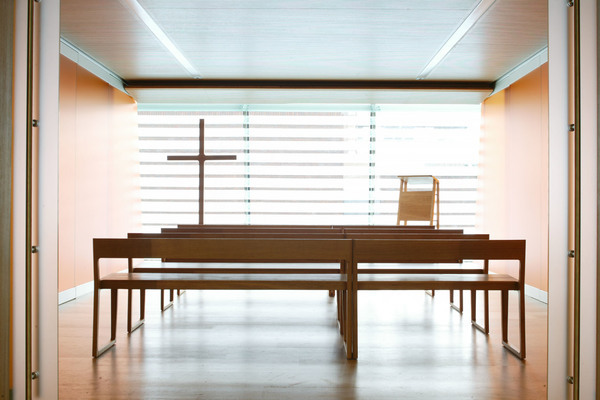 The chapel’s ambience has been achieved through the unbelievable capacity for invention with glass of the London firm Carpenter | Lowings – a collaboration between US sculptor James Carpenter and British architect Luke Lowings – and their technical and imaginative ability with light. The front elevation has a layered and high quality engineered look. The use of hot rolled steel sections as part of the cladding provides visual weight and supports an outer screen of fritted glass. This provides solar shading to the exposed west elevation, acts as a visual mask to the outside of the building, retains privacy to building users and gives the development a much stronger street presence. Spatially the building is subdivided into a below-street-level public interaction area, the entrances and reception area on the ground floor and four storeys of staff accommodation above. The General – The Salvation Army’s international leader – works on the first floor, along with his Chief of the Staff, plus the World President & Secretary of Women’s Ministries and their private secretaries. Above the General are three floors of office space, where the administration takes place. The staff present most often in the building have their desks around the edge of the office floors – areas traditionally reserved for office space for the leadership. LG2-1st floor has a heavier structure with fewer organic elements, whereas the office areas above are articulated by 6m x 6m structural grid. All circulation and service cores are located on the eastern (internal) side, back-to-back with those of the office building, allowing the floorplate beyond to be optimised.